Thai police now focus their investigation on the lesser charges of drunk or reckless driving causing death, injury or property damage. 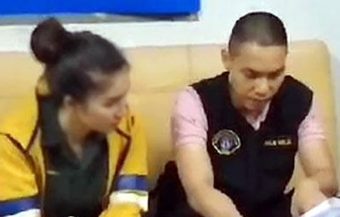 Court later granted bail to the 57 year old business man while his brother, on behalf of the accused’s family, promised to undertake their responsibilities towards the three daughters of the senior Thai police officer and his wife who died as a result of the car accident. 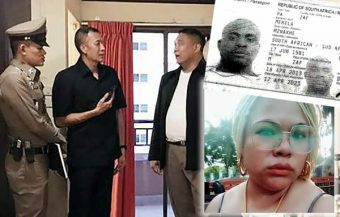 A local Thai court sitting at Taling Chan in Bangkok has thrown out charges of murder and attempted murder against a 57 year old business man following a horrific car accident on late Thursday night which saw a senior Thai police officer and his wife killed. The couple’s 16 year old daughter is reported to have suffered a brain hemorrhage as a result of the smash and is in hospital. The business man, named as Somchai Wayrotepipat, is the owner of the long established Carbon and Graphite Company. 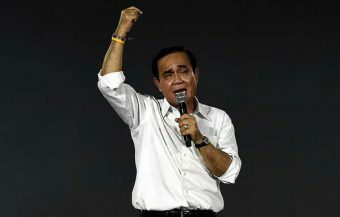 He was reported to have been drunk when the collision occurred although he is also reported to have explained to Thai police that he was unconscious at that moment. 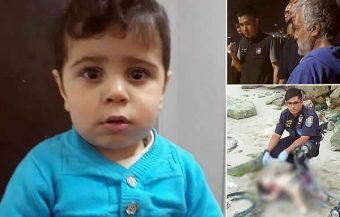 The court later granted the bail to the accused and his brother, on behalf of the business man’s family, has promised to make good their responsibilities to the family of the policeman in the aftermath of this tragic incident. 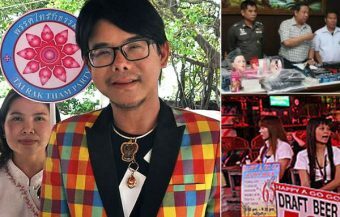 A Thai court sitting in the Taling Chan area of Bangkok has dismissed charges of murder and attempted murder against a successful business man following a fatal car accidents that occurred late on Thursday night in the north west of the city in the Thawi Watthana district. 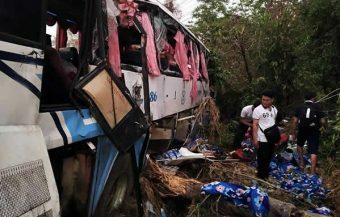 The 57 year old business man, Somchai Wayrotepipat, arrested on Friday morning by Thai police after a horrific crash crash which resulted in the death of a senior Thai police officer and his wife has been granted bail after a local Thai court threw out murder and attempted murder proceedings when police pressed the charges against him before it. 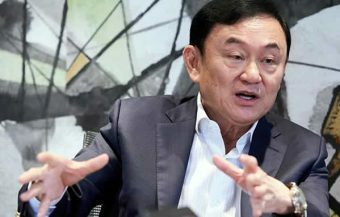 This followed instructions over 1 week ago from Thailand’s Deputy Prime Minister that all those found to be engaged in drink driving accidents over the Songkran holiday period should face murder charges where the accidents result in death. 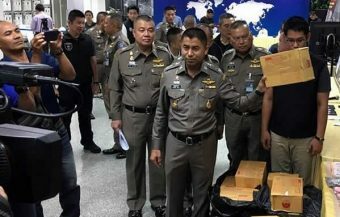 Thai police at Sala Daeng police station are now focused on prosecuting the 57 year old business man on the lesser charges of reckless and drunken driving causing death, injury or property damage. 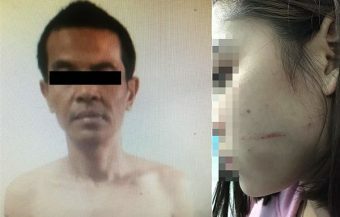 His older brother, Ratanachai Wayrotepipat, has apologised on behalf of the man’s family and has promised to fulfill their responsibilities to the three daughters of the 48 year old Police Lieutenant Colonel Chatuporn Ngamsuwichakul and his 44 year old wife Nuchanbart Ngamsuwichakul. Following instructions given by the the Thai Deputy Prime Minister, Prawit Wongsuwan, over a week ago that drunk drivers causing death should face murder charges, the Thai police had charged business man Somchai Wayrotepipat with murder and attempted murder as well charges related to drunk driving which included of causing death, serious injury, death and damage to property as a result if both reckless and drunk driving. 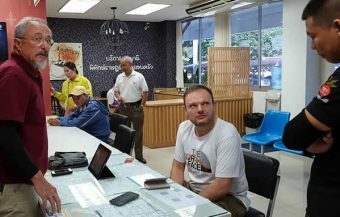 However, the local Thai court threw out the more serious charges today when the business man was brought before it by Thai police. 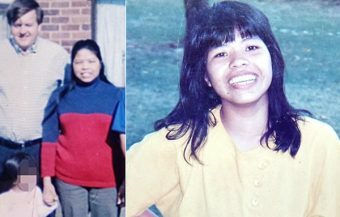 The serious charges of murder would have conceivably left the business man facing the death penalty if subsequently convicted. 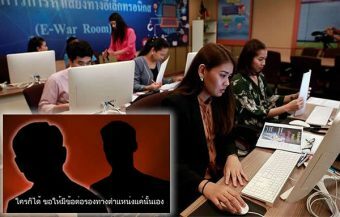 The order of the court now precludes That police, investigating the incident at nearby Sala Daeng police station, from pursuing murder charges against the business man. 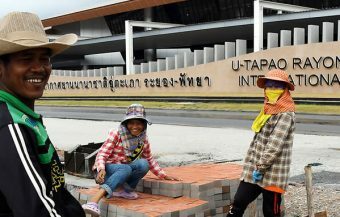 The focus for their prosecutorial efforts is now confined to the lesser charges against the businessman who is the owner of the long established Thai Carbon and Graphite Company which has two substantial factories in Thailand and is a leading Thai firm in the Southeast Asian market. The firm was established in 1963. 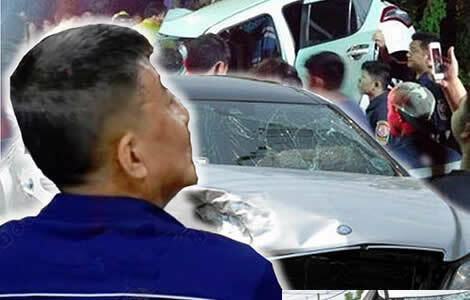 The 57 year old business man’s silver Mercedes saloon careered into a white Suzuki car on the night of the accident instantly killing a senior Thai police officer, 48 year old Police Lieutenant Colonel Chatuporn Ngamsuwichakul. 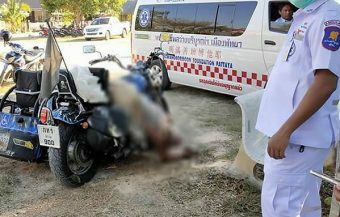 The policeman’s wife, 44 year old Nuchanbart Ngamsuwichakul, died later at a local hospital. The couple’s 16 year old daughter is reported to have been seriously injured in the crash which is reported to have caused her to experience a hemorrhage to the brain. The businessman was interviewed by Deputy National Police Chief Police, Wirachai Songmetta, following the accident. 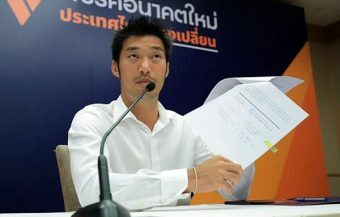 Mr Wayrotepipat was not seriously injured following the smash although it is reported today that he has been suffering for leg pains since. Following the accident, it was revealed that the business man’s blood alcohol reading was 260 mg/dL. He told Thai police that he did not recall the accident as he was unconscious when his car is believed to have crossed to the other side of the road, careering into the Suzuki car which was coming in the other direction at speed. Thai police told the court that the business man had been drinking at a golfing range locally before he set off on his car journey. It is reported that the businessman has been now been given bail by the courts after a request was made from a family member. The bail was set at ฿200,000. Earlier, police had applied for a 12 day extension to the man’s detention and this was granted allowing them time to complete their investigation into the remaining charges against him. 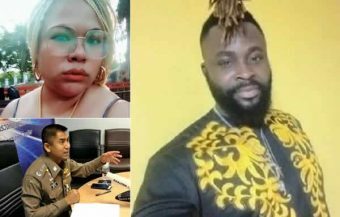 An older brother of the 57 year old businessman, Ratanachai Wayrotepipat, told the press this Saturday that the whole family of the driver were deeply sorry for what had happened on Thursday night/Friday morning. 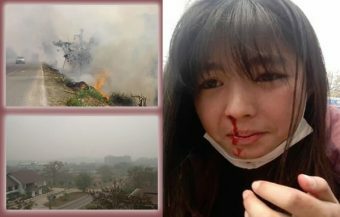 He said that the his family would accept full responsibility for the actions of the businessman and for the damage and injury inflicted. 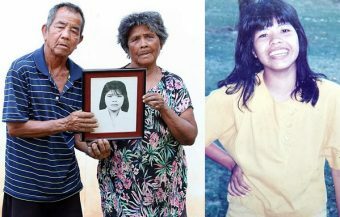 He particularly identified paying for treatment of the policeman’s 16 year old daughter and for the education of the the other two daughters of Police Lieutenant Colonel Chatuporn Ngamsuwichakul and his wife Nuchanbart Ngamsuwichakul, who both lost their lives.